Want it by Thursday 25th April? Order within 8 hours, 55 minutes and choose Royal Mail 24 Hour Delivery at checkout. This fierce set of pencils from Cath Kidston feature the Dino Stripe Design. 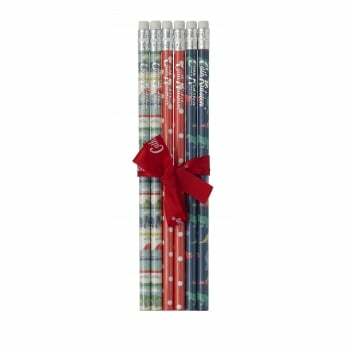 The pencils come wrapped in a bow and make the perfect gift.